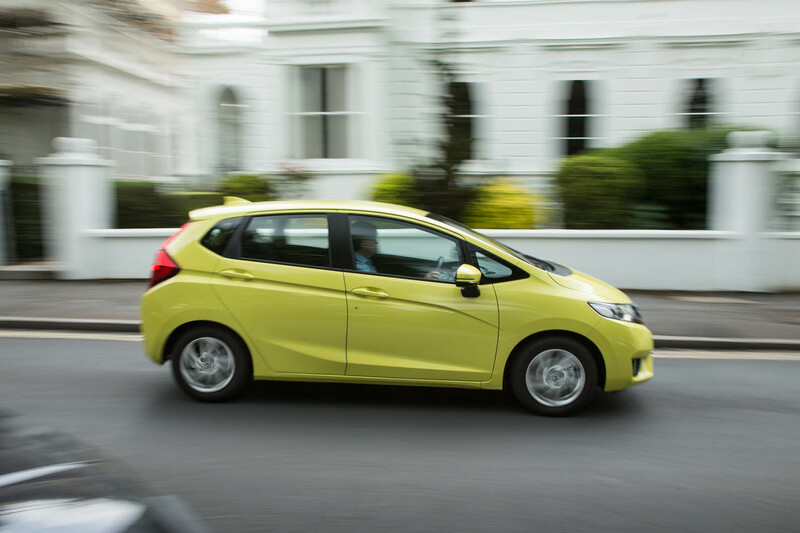 What is it that makes the Honda Jazz such a strong seller in Britain? We've got six months to find out. We’ve been willing it for years, but now there are signs that Honda is recovering its mojo. The brassy Civic Type R hot hatch and intriguing NSX hybrid sports car are two indicators of the firm’s resurgence, and if it can now persuade the public that its engineering excellence and clarity of purpose are as prevalent in its everyday cars as they are in those two rather more specialist products, a return to its former glory is surely just a variable camshaft profile away. The Jazz, to a degree, needs no such public re-engagement. This immensely popular and eminently practical car accounts for more than 40% of Honda’s UK sales and is far more relevant to most people’s real motoring needs than those two high-performance machines could ever be. So we’ve put on our sensible shoes and added this latest version to our long-term fleet to see if it, too, is worthy of our highest praise and to see how it cuts it against its über-competent rivals in the supermini class. Supermini? There has always been some doubt about the class into which the Jazz fits (no pun intended, if you are aware that the Jazz is sold elsewhere as the Fit), because in terms of size and practicality, it sits somewhere between a small hatch and a mini-MPV. This third-generation version is nearly four metres long and larger inside than the second-gen model, a car famed for its capacious interior. Wherever it belongs, there’s one on my driveway now. It’s a 1.3 SE Navi model in Attract Yellow, a colour I can only describe as, well, Jazzy. Quite what it’s hoping to attract I’m not sure, but as long as it isn’t passing birds, we should get along just fine. SE Navi trim sits just one down from top-of-the-range EX and is well furnished. Standard kit includes 15in alloy wheels, air-con, electric windows and mirrors, automatic lights and wipers, DAB radio, Bluetooth and front and rear parking sensors. There’s an integrated Garmin sat-nav, too, and a Connect infotainment system with a 7.0in touchscreen, featuring internet browsing and smartphone syncing. Our only option is the £500 pearlescent paint. Under the bonnet, the choice is Hobson’s; the only engine currently on offer is a 101bhp 1.3-litre four-cylinder petrol unit. Ours is linked to a six-speed manual gearbox and performance is peppy enough on paper: 0-62mph in 11.3sec and a top speed of 118mph, with the promise of 56.5mpg economy and reasonable CO2 emissions of 116g/km. First impressions are good. It’s a cheerful-looking thing and exceptionally roomy inside, where there’s good visibility, a pleasing choice of materials and a stylish dashboard. I’m discovering that you need a light right foot to move away from a standstill smoothly. Conversely, the engine needs to be revved to get much performance from it (peak torque is at a lofty 5000rpm), and when you do, it’s not the quietest thing, but I’m sure it will both loosen up and quieten down with age. The gearchange is at least short of throw and precise. Add in impressively direct steering and you’ve got a potentially lively performer. It may not be a Type R or an NSX, but I’m still looking forward to the next six months. Is the Jazz still made in Swindon, or do they import it from India??? I don't think they were ever made in Swindon, the originals were either Japan or China and I assume the 2nd generation were the same, I thought Swindon only made civics and crvs. Why they couldn't incorporate the drivers door key hole into the handle rather than having it looking out of place half way down the door and also why they needed to make it bigger when as the review says they were always praised for the space they provided, the original is actually quite compact. Both first and second generation made in Swindon alongside Civic and CRV. Third gen made in Mexico and Japan. Every car on the planet is getting bigger with every new generation (at least on the outside) but the use of space inside some of them is diabolical (BMW mini twice the size of Rover version on the outside but still only room for a medium dog or two cats in the back seat area. You can see why the Jazz is so popular. A super rational choice for urban or suburban transport, with Honda's famed quality (real dependability, not perceived 'premiumness'). I can see why the sales are so woeful, In Europe at least this piece of ditch water explains why Honda are in deep do-do. I mean even the after a face lift it struggle into the top 20 Subcompact sales, even beaten by the Punto and Logan, the Fiesta sells 7 times as many! People who buy Fiesta are just buying 'Ford' like their dad (and maybe their grandad ) bought, staying 'safe' with their purchase, Ford sold cars with clever advertising and gimmicks and did not get their 'Fix Or Repair Daily' monica for no reason, and the spare parts were cheap for a reason, they sold them by the shedload - Ford could (and still can today)only dream of the quality and reliability of the Japanese brands - if there was any justice in the world for would be a name consigned to history (like Rover for instance). Some of the best Ford models are Mazda or Kia rebadged as Ford. As for the Punto - I thought Fiat only made one model these days, the 500 - that handbag car so beloved by trendy young women which is actually a two seater - although it is sold as a four seater. We had a new Jazz a couple of years ago to accommodate an elderly parent with a wheelchair. Practicality great. Reliability – no problems during the time we had it (18 months) and the model's record promised it would remain ultra-reliable. But ... its quality was appalling. Thin paint, flimsy, cheap-looking plastics and a general feeling of insubtantiality. Very disappointed as Honda didn't live up to its reputation as far as we were concerned. To be fair, every new model seems to be made more cheaply than its predecessor. We had mk1 Jazz and it felt like it was hewn from granite. Replaced it with a mk2 you could see and feel where they'd cut corners. Mk3 just seemed awful - we bought something else.